I thought I would try something different with today’s Daily Create assignment, and go with a step-by-step breakdown of everything that goes into these entries. It probably won’t mean much, in the long run, but at least I tried. I then managed to find a website that specialized in translating English to Shakespearean, as well as a parody site with the same intended goal, which I fittingly used to rewrite the lyrics. For the results of this experiment, you need listen no further than the submission proper, at the conclusion of this entry, or look no further than this image. 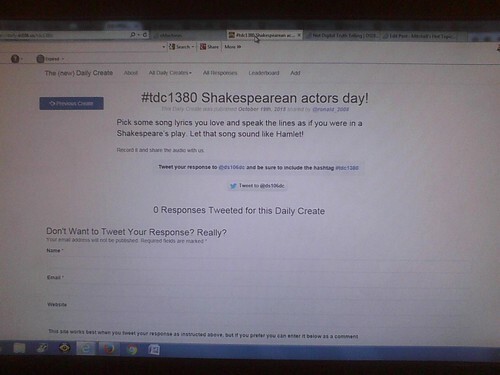 It seemed that things were already in my favor going into this task, considering how well my last attempt at Shakespearean acting went, but this time, I had to do a monologue, in the same vein as Hamlet‘s “To be, or not to be” speech. 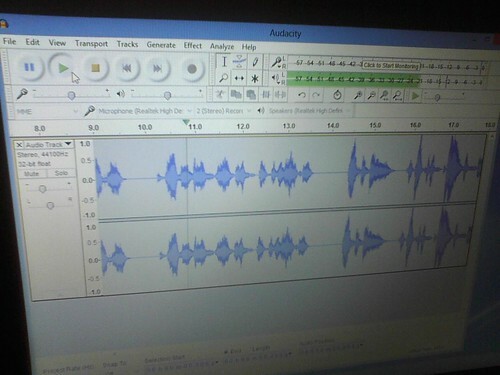 Thankfully, the recording process, which I did using Audacity, went off without a hitch, as these things have a tendency to do. The speaking tone I went with was that of an arrogant king, not unlike Macbeth, or Richard III. I even set a dramatic tone with the lines I spoke, to better match the theme of the original song, about a young boy who witnessed his mother murdering another man, and doesn’t want anything to do with her anymore, regardless of whether she apologizes for her crime or not. Given how Shakespeare had a thing for tragedies in his prime, I really do believe that it doesn’t get any more tragic than that. After the recording process was completed, I briefly took the time to edit the audio footage, primarily to cut the clicking sounds at the start, and end, of the recording. 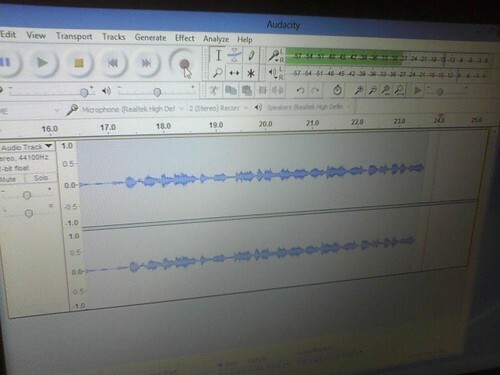 Once I was satisfied with the final product, I saved it as an Audacity file, and exported the audio as its own MP3 file, which is the same kind SoundCloud carries. From there, it was smooth sailing, as I uploaded everything onto my SoundCloud account, as well as the Daily Create’s Twitter feed, finishing off my first assignment for this semester’s second half. 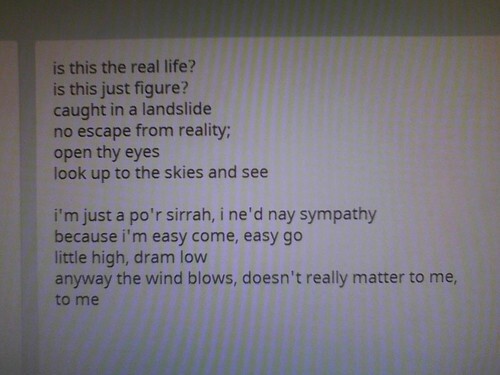 The original lyrics for “Bohemian Rhapsody” were taken from elyrics.net.